This resource is part of a collection of resources by Jan Miller called Teaching Art to Year Three. 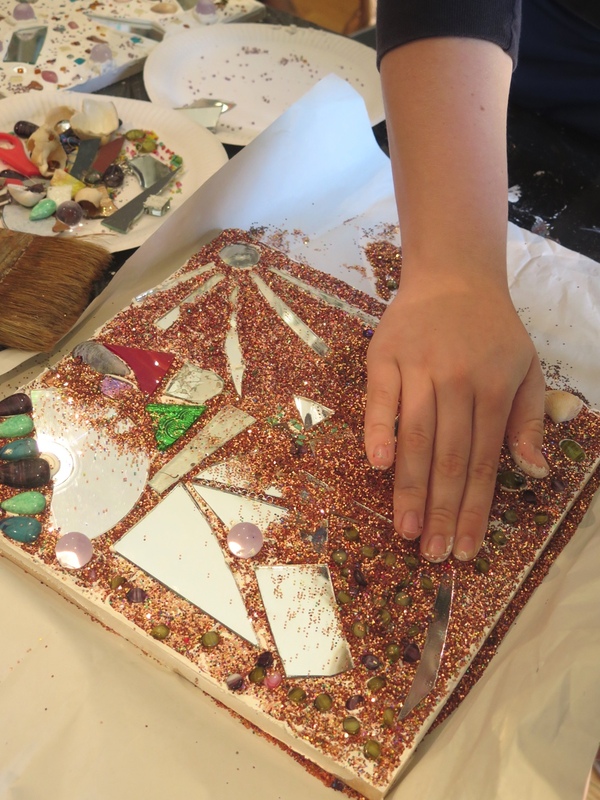 After studying the work of contemporary artist Andrew Logan, pupils have fun playing with materials that glitter and sparkle, developing their design and making skills to produce personalised brooches, decorative images of celebrities and gorgeous treasure glitter boards. Finally, they explore portrait drawing, creating a sparkly 'selfie'! Jan Miller shares her processes for the projects which can be used with children aged 7 to 14 (any KS, 2, 3 children). 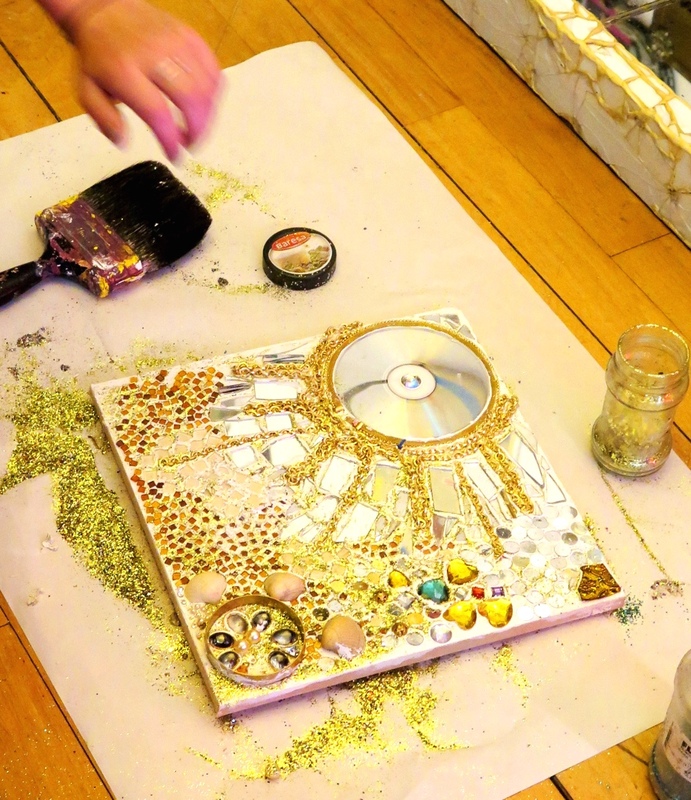 What child doesn’t like glitter? I try to avoid the ‘g’ word in my class, but very occasionally a project just calls for a little sparkle. 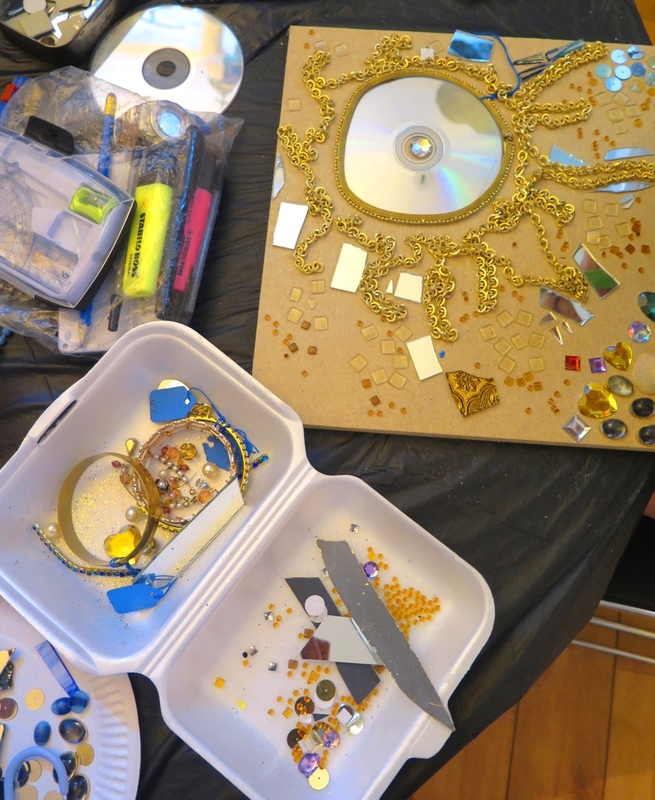 A visit to the Andrew Logan Museum inspired the creation of some extremely ‘bling art’ and a very shiny response to portraiture. The sessions were run with children aged 11 in year 7. The resources below can be used with children aged 7 to 14 (any KS, 2, 3 children). Which areas of exploration are covered? Each of the five sessions took an hour with the whole class. If you were working with a smaller group of children the activities may take less time. If time is limited, you may just allocate one hour with one technique. 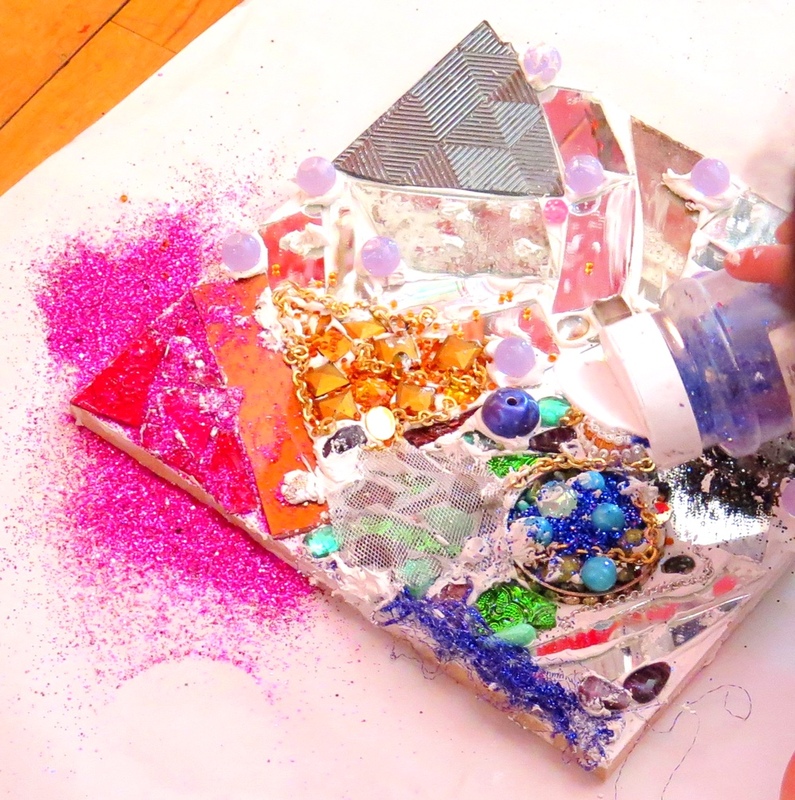 The lessons progressively built on each other and the children developed an understanding of process and materials. If you followed all the sessions you would cover the areas of exploration listed. The teacher could complete more of the preparation - allocating materials in tubs on tables. Sketchbooks were available in all lessons to continue research drawing and making notes. The lesson could involve the children drawing their labelled plan of intentions first or spontaneous making. Begin a collection box for unwanted or broken jewellery, beads, glass, buttons, bottle tops, small toys - ask children to bring in donations. We used a cheap pink wig for collage. Where might the sessions be used?